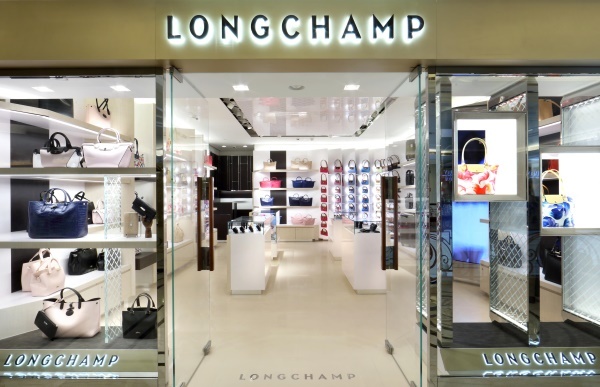 Longchamp, the famous French luxury brand, has opened its first store in India at Delhi’s DLF Emporio Mall. Longchamp store at DLF Emporio, New Delhi. The exclusive French luxury brand Longchamp recently opened its first boutique on Indian soil. Among the best destinations to shop for luxury brands, DLF Emporio Mall in New Delhi is their new home in India. Indian School of Design and Innovation (ISDI) is the first master franchise in India of the brand. For the uninitiated, this French brand offers some of the best leather goods and clothing in the world. Jean Cassegrain founded Longchamp in 1948 and till date his family owns and runs the house. Their handbags, luggage and accessories are globally renowned for excellent craftsmanship and attention-to-detail. The company has extended the same quality in their ready-to-wear collections. Their products are made of high quality leather and some of the finest naturally available materials. Longchamp has grown immensely in recent years and owns more than 290 boutiques around the world. Their new store at DLF Emporio spans across 1,000 sq. feet on the first floor of the mall. It currently stocks some of their iconic luggage collections like Le Pliage® Heritage, Pénélope, Roseau and the beloved Le Pliage® Cuir. Celebrities like Kate Middleton, Kate Moss, Kate Winslet and many more with other first names have been seen toting their bags! Join the Longchamp league and let us know of your experience in the comments below. Tagged Accessories, fashion, LifeSpice, Sartorial Notes. Bookmark the permalink.